He needed a job after college and two family friends who were in the insurance business suggested he try insurance. Mayfield said he was that scout who sold the most popcorn and always thought he knew he wanted to do sales. So, he took the job. It didn’t take him long to figure out that selling small life insurance policies and collecting ten-cent-a-week premiums on debit accounts wasn’t going to pay the bills. However, in retrospect, Mayfield says, with a chuckle, “This was going to be a part-time gig and it turned into a pretty good fulltime gig.” Insurance had caught his attention. 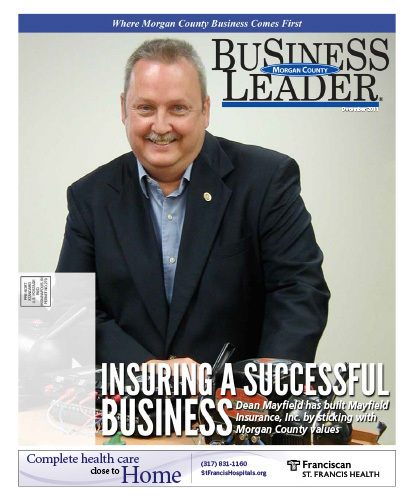 Download the full December 2011 Edition here.